From our Moree office, located on Frome Street, we service and support nearby towns including Goondiwindi, Narrabri, Wee Waa, Boggabri, Bingara, Warialda, Walgett, Mungindi and Lightning Ridge. Call our Moree office or contact our Business Development Specialist below to see how we can improve your business workflow. Kevin works with clients in the Moree, Narrabri and Goondiwindi areas, including Wee Waa, Boggabri, Walgett, Warialda, Bingara, Lightning Ridge and everywhere in between. 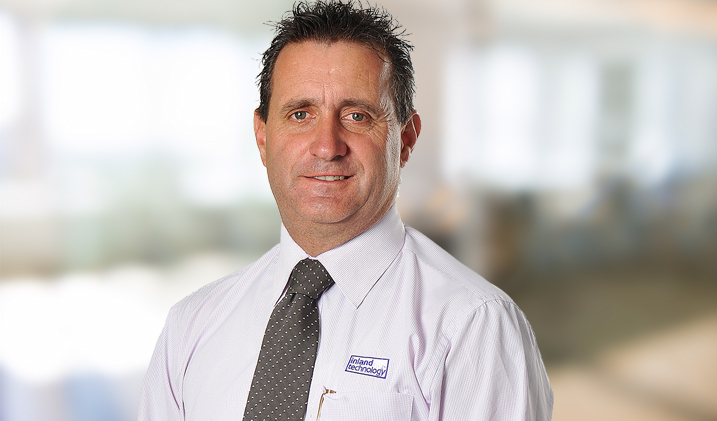 Having joined Inland Technology in 1992, Kevin has been part of the growth of Inland Technology since its very start. He enjoys identifying how new technologies can benefit regional business, and works closely with clients to deliver practical solutions. Having his own farm in Pallamalllawa, Kevin has a strong interest in rural and regional issues. When he’s not at work, Kevin is busy on the farm, spending time with his wife and children, or playing sport in Moree.